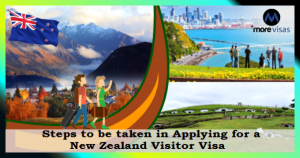 This entry was posted in New Zealand Tourist Visa and tagged New Zealand Visa New Zealand Visitor Visa Temporary Entry Visit New zealand on September 23, 2017 by Blog Author. An applicant needs a visa to visit New Zealand on holiday, depending on the place of residence and the duration of stay. Visa is not required for a permanent resident/citizen of NZ or Australia. The fee is charged based on citizenship an applicant, the type of visitor visa sought and the country of origin. No refunds of application fee are done. It can be paid through a Bank cheque, a Credit card or in case of UK by a Switch card. A completed Sponsorship Form for Temporary Entry (in form INZ 1025), if some person agrees to extend financial support.